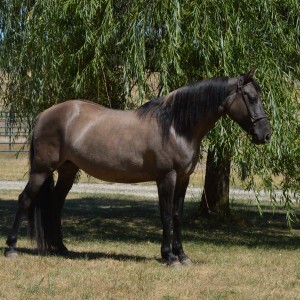 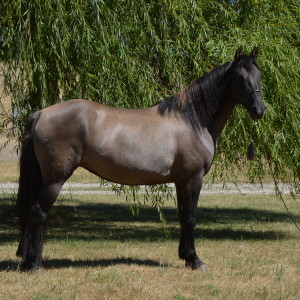 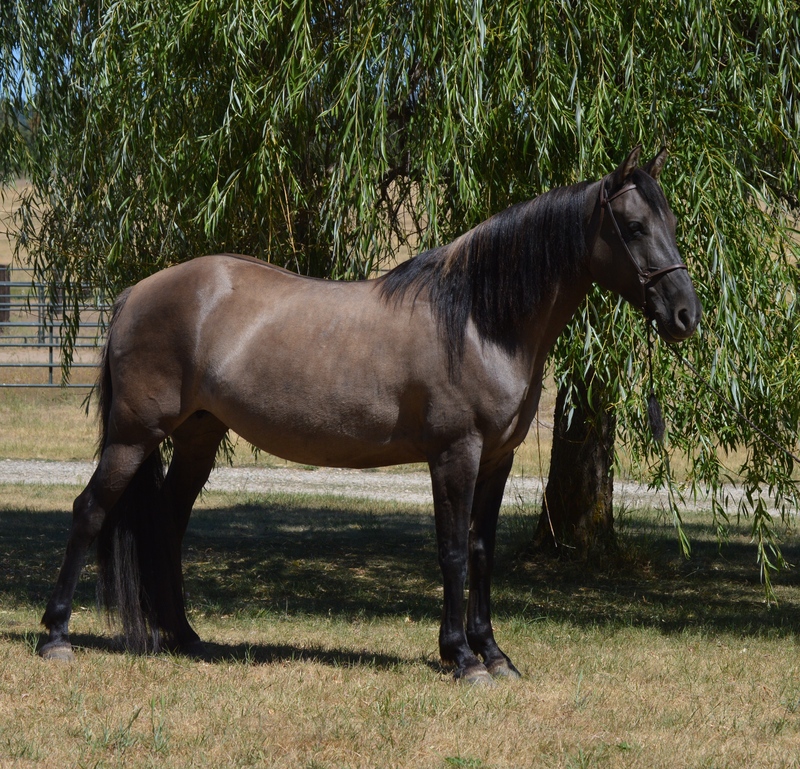 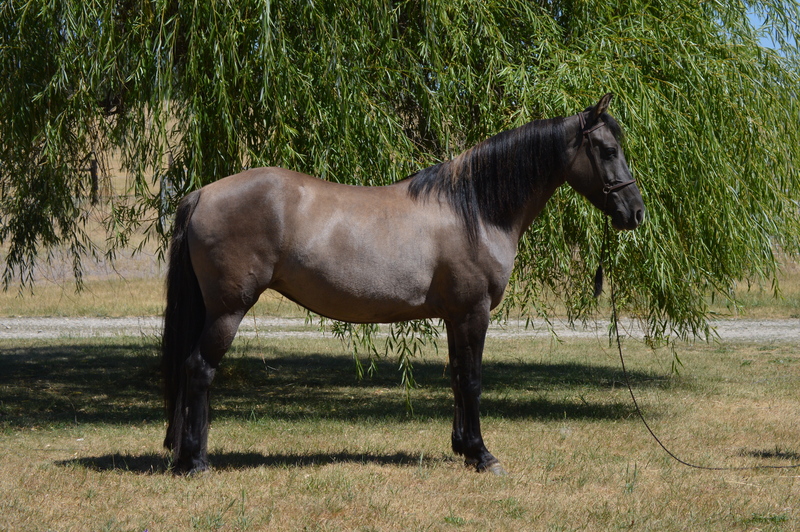 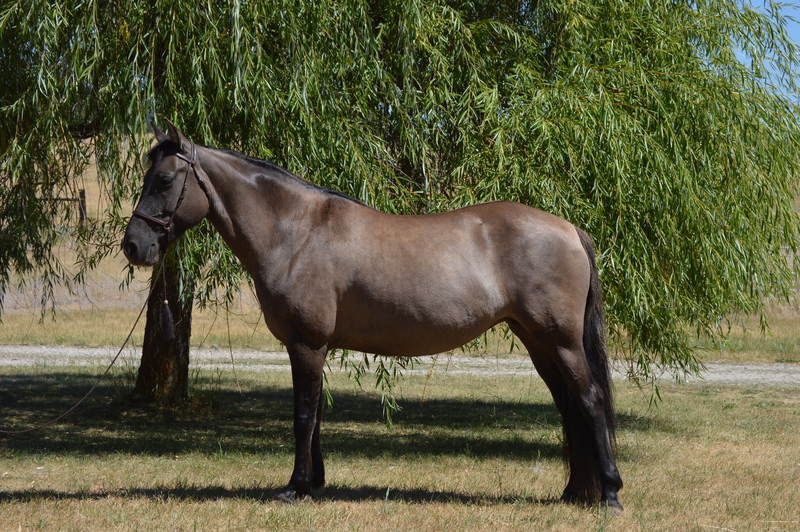 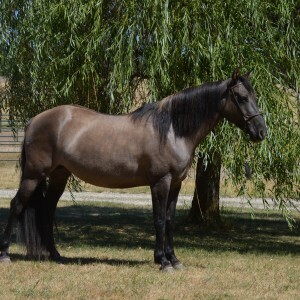 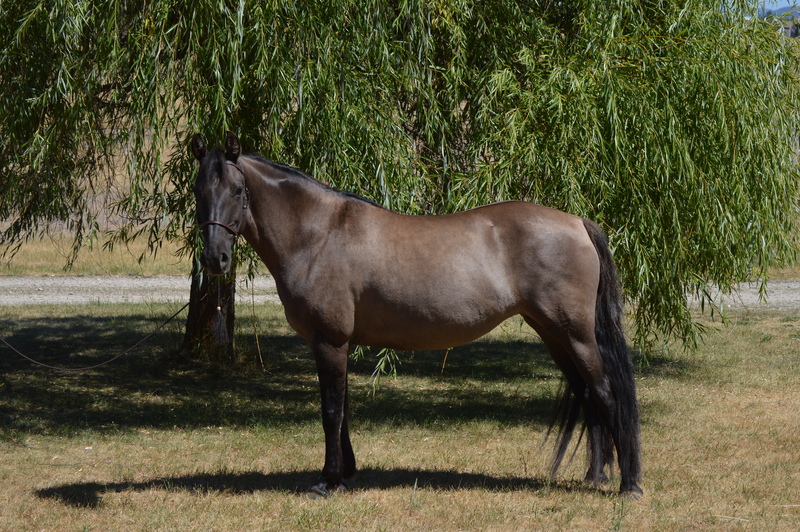 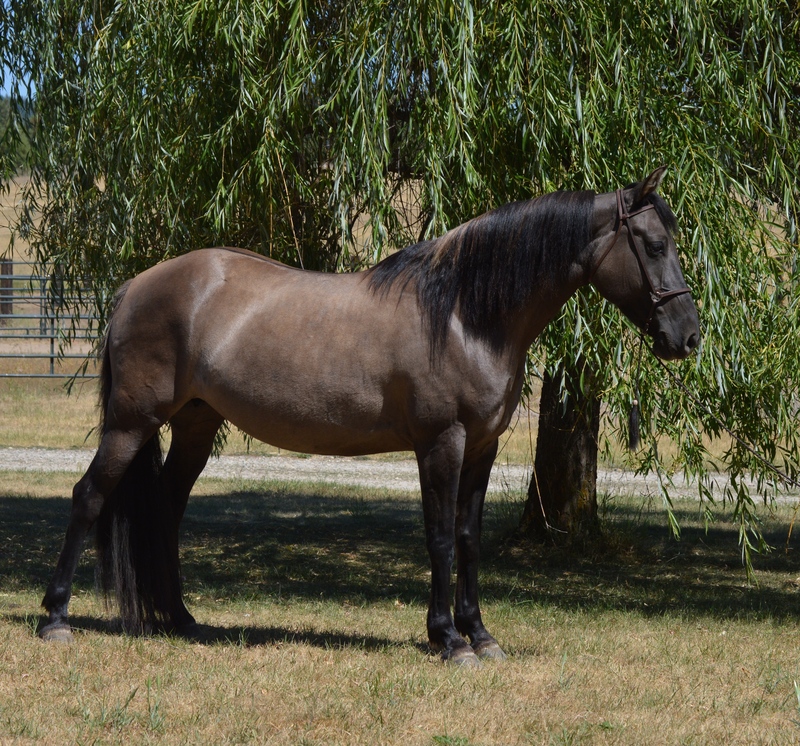 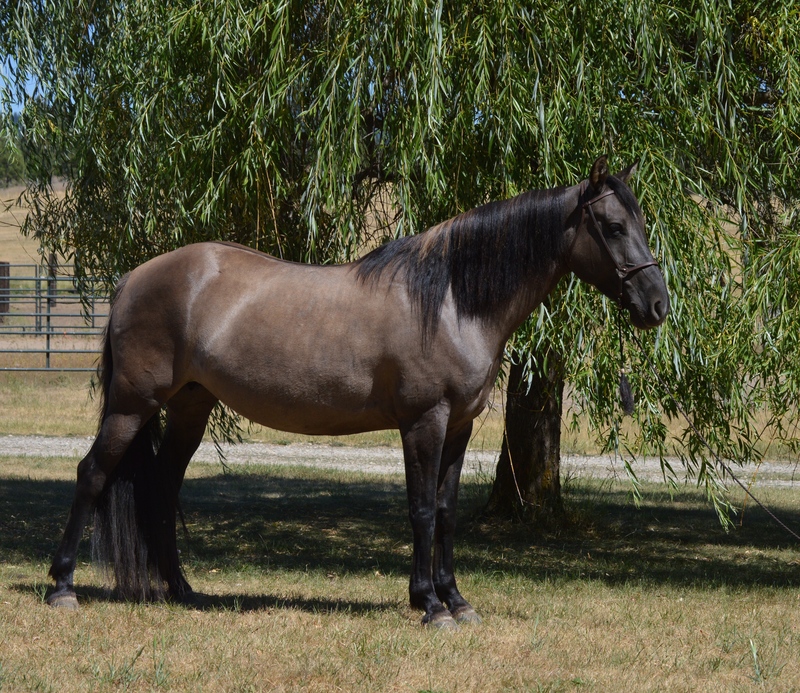 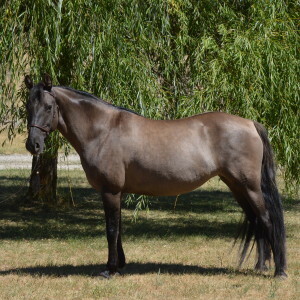 “Mia” is a 2007 grulla mare that is very rich in old western working breeding. 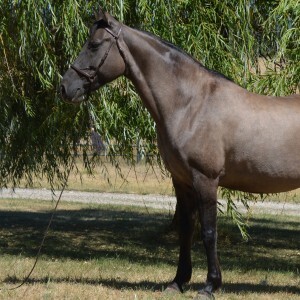 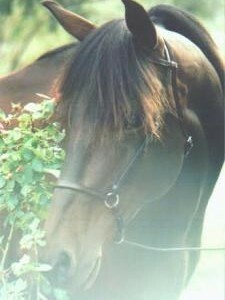 She is 14.2hh and a sweet, fun girl. 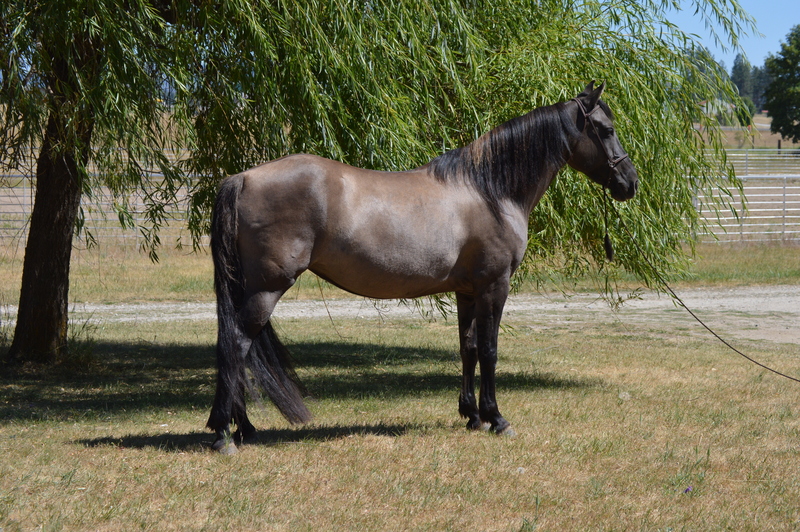 She rides beautifully and is always at the gate ready for a new adventure. She has had one foal for us so far and that filly is just as sweet and pretty as her mother.